Every year, another gold rush draws visitors from around the world to our valley. The aspens' golden glory is set off by the first silver on the high peaks and green fields below. Above, the mountain is framed by Colorado's stunningly blue skies; we get about 300 sunny days each year. But you don't have to travel far to see scenes this beautiful. When you call RVR home, it's right out your back door. 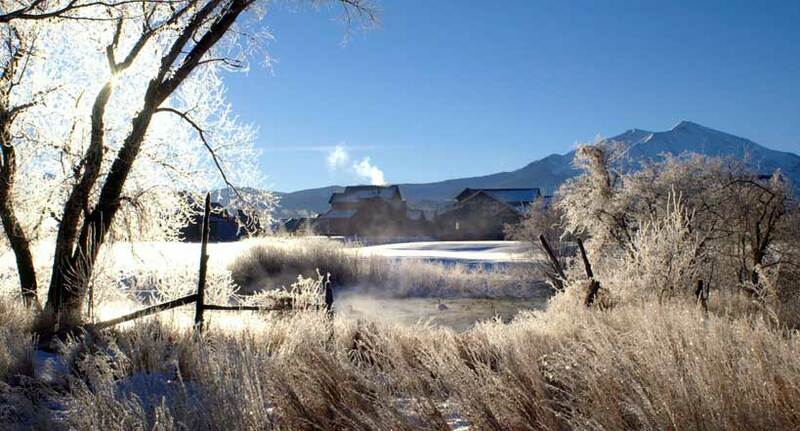 There's nothing more beautiful than winter in the Roaring Fork Valley. A hush falls over every footfall and a mantle of white sparkles against the sun. Geese call as they fly overhead. Miles of Nordic trails call for you to come and explore. 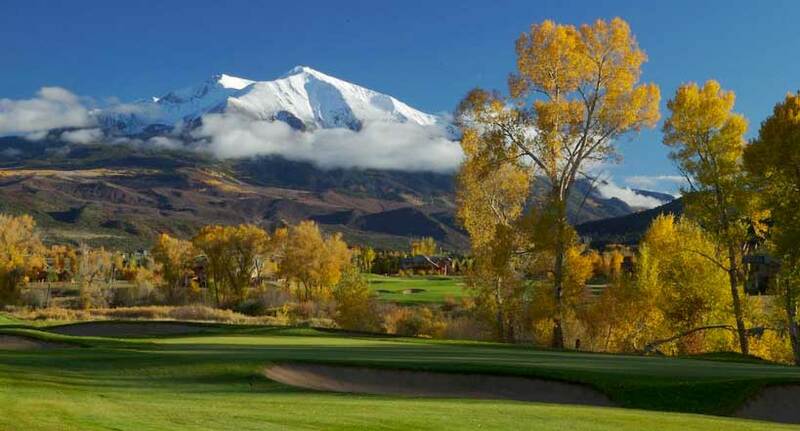 Or head up the valley: you're less than an hour from the four resorts of Aspen and some of the best alpine skiing in the world. 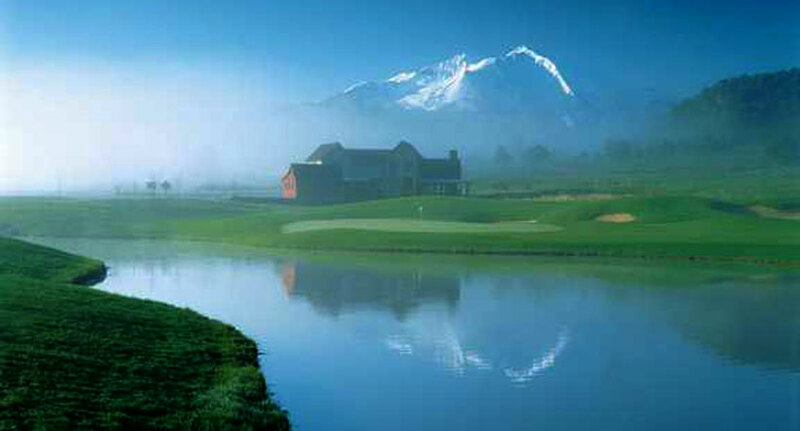 River Valley Ranch sits at the gateway to one of Colorado's most beautiful places, the Crystal River Valley. The surrounding mountains and valley provide hiking, mountain biking, cross-country skiing, and the best snowshoeing anywhere. The Crystal and Roaring Fork rivers offer kayaking, rafting, and gold-medal fly-fishing. It's all breathtakingly gorgeous. No matter what the season. 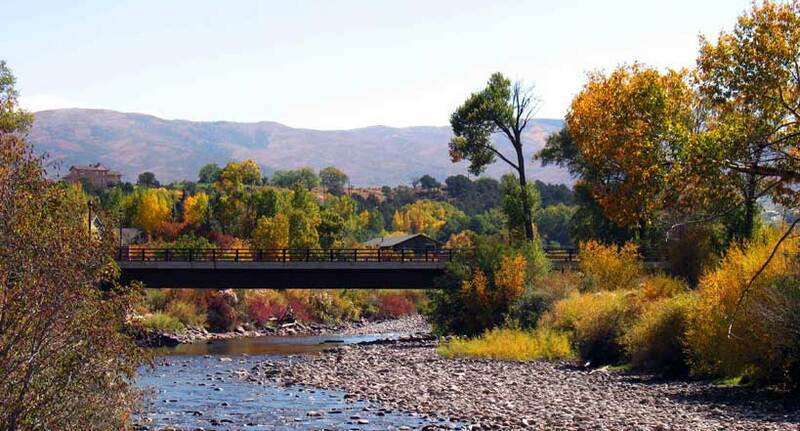 A mile and a half of the pristine Crystal River flows through River Valley Ranch, enhanced with abundant parks and paths for your everyday enjoyment. The Crystal is a year-round trout playground and an angler's paradise. Nearby, the Roaring Fork and the Frying Pan rivers are famed for their Gold Medal fly fishing. Imagine a place so quiet you can hear the call of a dove. A place so unspoiled that the air has a crystalline quality and colors are heart-breakingly clear and crisp. That place is called River Valley Ranch. But you will call it by a shorter name: home. 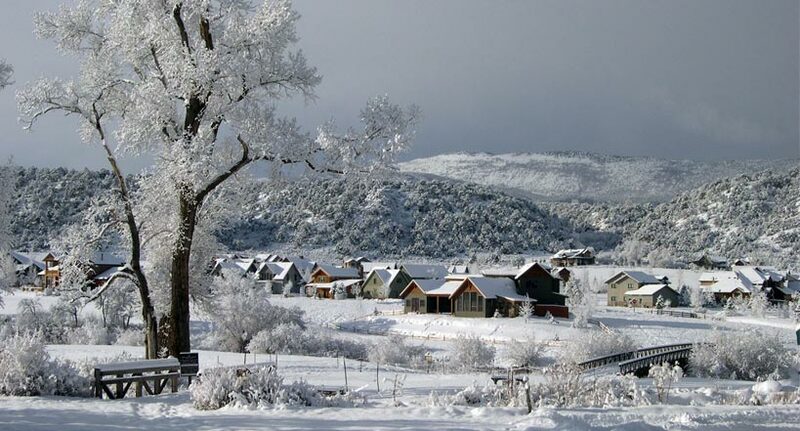 We invite you to explore everything that makes our River Valley Ranch community so special. RVR has been thoughtfully designed around the award-winning Jay Morrish Championship Golf Course, the Crystal River, and the Ranch House, home to our swim, fitness, and tennis club. From art shows and fairs to bike races, snowboarding, skiing and hiking, RVR offers a vibrant lifestyle for everyone from retirees to toddlers. Although we have more than five miles of hiking and biking trails and are bordered by ranch lands, you can walk to the town of Carbondale -- with its restaurants, movie house, live theater and a feast of cultural events -- in just minutes. Read more about Carbondale with this recent article. Parks wind through RVR and along a mile-and-a-half stretch of the Crystal River, and the ranching heritage of this special place pervades the design of our community buildings and world-class amenities. 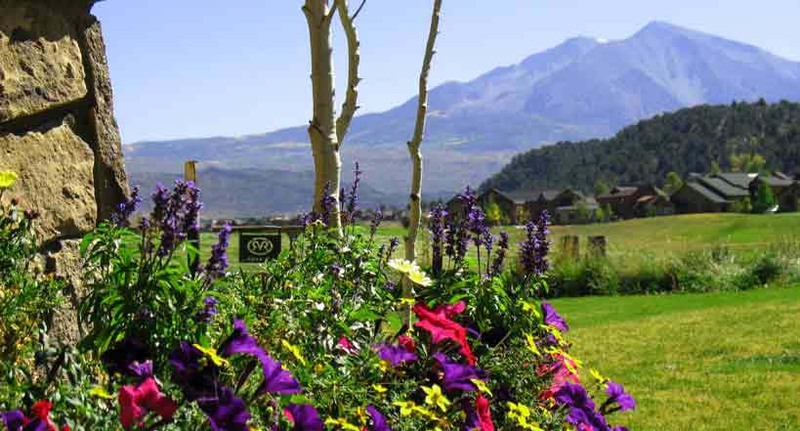 With our beautiful neighborhoods and endless mountain views, River Valley Ranch offers the very best in mountain living. The River Valley Ranch real estate team, Brian Leasure and Karen Peirson of Destination Holdings, are the perfect guides for finding the mountain home that's waiting for you or for finding the perfect spot to build your dream home. Experienced real estate brokers with deep roots in the community, they can make your purchase in River Valley Ranch a pleasurable experience. Not quite ready to buy? Our team can help you find a great short-term or long-term rental while you explore the area and your options.